You do everything you can to care for your teeth and gums. You want them to be there for you throughout your lifetime and you know they are an important part of taking care of your overall health. Dental care starts at home with regular brushing and flossing, and of course, we all need regular cleaning and checkups at the dentist. But, problems with teeth and gums can develop over time. When you do need additional procedures, it’s good to know that modern dentistry has come a long way. With the equipment, training and procedures available today, going to the dentist doesn’t have to be painful, and our dental care is more effective than ever. One recent development is the use of laser dentistry for some procedures. With its gentler approach, laser dentistry can reduce pain and healing time. Less invasive and more precise, laser dentistry means less damage to surrounding areas that don’t need treatment. Laser procedures may also help minimize bleeding and swelling. When used in conjunction with traditional treatment, laser dentistry is a great option for a number of common dental procedures. Lasers are beams of light that use heat to cause a reaction on whatever surface they touch. Used for many things as precision tools, they have also proven to be a safe and efficient way to repair teeth and gums for some dental procedures. It works because laser heat is minimal and so precise it is able to remove only diseased tissue, leaving healthy tissue around it intact and undisturbed. The laser may also be used for “curing” a filling, that is helping it bond to the surface of the tooth, and in tooth-whitening procedures where the laser’s heat helps to activate the bleaching agents. Laser dentistry is better for your teeth in two primary ways. 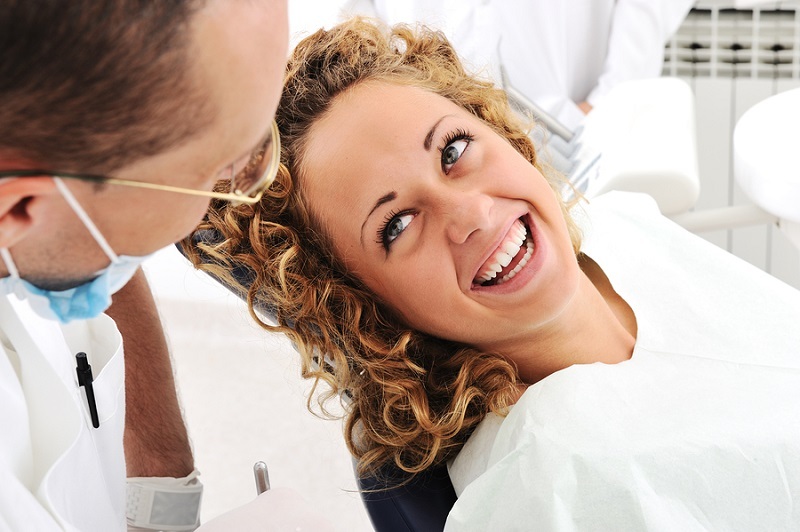 If you have a cavity, it needs to be taken care of quickly. Without treatment, your tooth will decay further, causing pain and eventually the loss of your tooth. In the past, the dentist relied on a drill to remove large chunks of the tooth in order to make sure all the decay was gone. But, with this method, the drill takes out a big part of the tooth, not just the decayed part. You can end up losing too much of your tooth to remove a cavity that is very small. Once it’s weakened, that tooth is more likely to eventually have to be replaced with a more costly dental implant. Laser dentistry helps address that problem. It’s precise, and it does little external damage, focusing only where it is needed. The healthy part of the tooth stays intact, assuring it will have a better chance of lasting longer. And, this saves you, the patient, money and inconvenience down the road, because it’s less likely you will have the pain and expense of a tooth that has to be removed and replaced. The second way that laser dentistry helps protect your teeth is by helping to keep your gums healthy. When gums are severely inflamed, they separate from the tooth, allowing bacteria to go deep into the roots. Eventually that tooth will fall out. So, healthy gums mean healthier teeth. If you have periodontal disease, or gum disease, during treatment a dental hygienist would typically use various hand instruments to break up the plaque under the gumline and remove the pockets of nasty bacteria. The gum must be pulled away from the tooth in order to scrape this material out from under the gums. 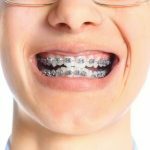 But this procedure is also damaging to the gums, delaying healing and often resulting in discomfort and occasionally bleeding. Dental laser treatment for gums, on the other hand, uses a gentle beam of light to gently dissolve pockets of bacteria at and below the gumline. The laser can more effectively target tight areas that dental tools struggle to reach without causing pain. Since the laser can be finely targeted, damage to the gums is minimal and the procedure is pain free, needing no anesthetic or extended healing time. 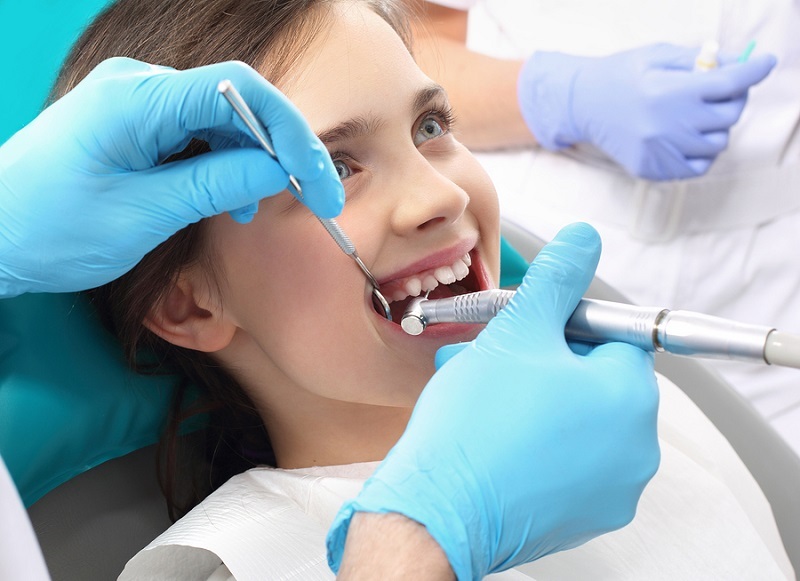 The American Dental Association looks “positively” on the dental laser procedure for its potential to reduce the need for local anesthetic, which besides the nuisance factor of having a numb mouth for hours also carries some minor medical risks. Laser dentistry means fewer times the dentist needs to use local anesthetic, which everyone can appreciate. While laser dentistry is still in the early stages, it is widely used for a number of procedures where it has proven to be both effective and comfortable for patients. We expect that its uses will increase as new way are found to use this tool to better care for your teeth and gums, and make a visit to the dentist easier than ever before. Dr. Medina offers laser dentistry treatment for a number of procedures including dental fillings, root canals, gum treatment and more. Learn how Laser Dentistry works and call Dr. Medina today to see if you can benefit from pain-free laser dentistry care.